For sale today is a 0 accident, 2013 Hyundai Sportage LX, with the 2.4L inline 4 cyl engine coupled to a 6 spd automatic transmission, cloth interior and alloy wheels. We stock over 500 used vehicles all in one location just 15 minutes north of Division St. 'Y'. Take the short drive for a great deal on your next car truck or SUV! 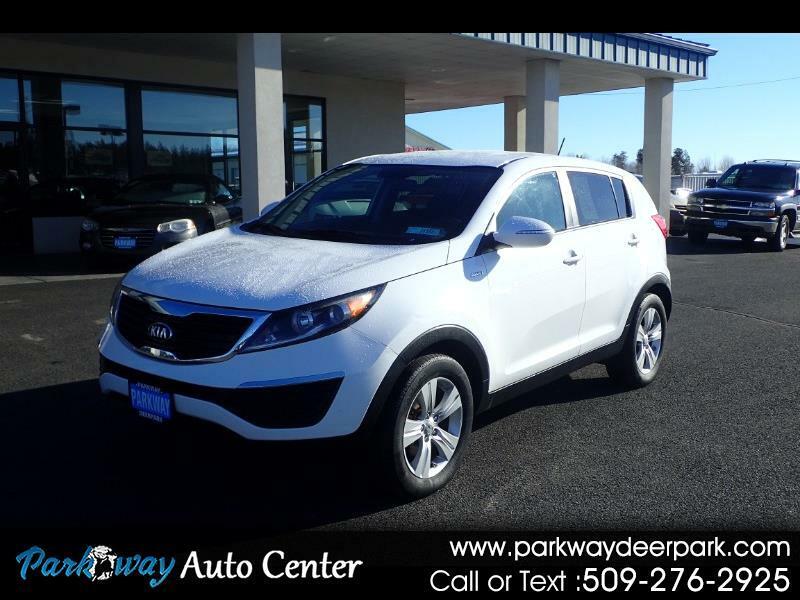 Visit Parkway Auto Center online at www.parkwaydeerpark.com to see more pictures of this vehicle or call us at 509-276-2925 today to schedule your test drive. Message: Thought you might be interested in this 2013 Kia Sportage. Price plus sales tax, title and license on approved credit. A documentary service fee up to $150 may be added to the sales price. The documentary service fee is a negotiable fee.